The differences between API 11B sucker rod and pony rod. 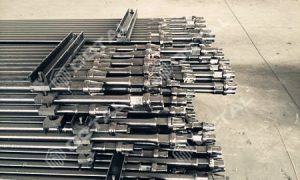 Steel sucker rod is a kind of long slender bar used in pumping well, common standard is API SPEC 11B (Specification for sucker rods, polished rods and liners, couplings, sinker bars, polished rod clamps, stuffing boxes, and pumping tees). It connects with polished bar above, and pumps at the bottom. The function is to transmit the power. 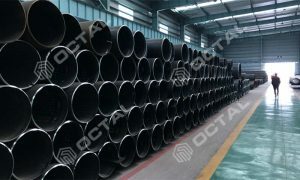 Steel sucker rods length generally at 7.6 or 8 meters long, material usually use high-carbon steel and surface plating with hard chrome, in the tubing connected one by one until the piston at the oil layer to pump oil with up-and-down movement. 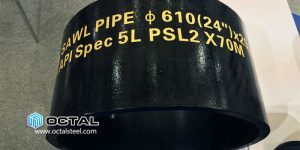 The standard API 11B for sucker rod defines the specifications for size, mechanical properties, inspection and test methods. 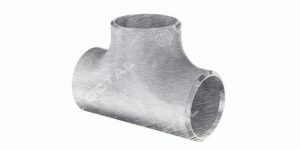 Covers products general sucker rod, fiber-strengthen plastic sucker rod, coupling, reducing coupling, polished coupling, polished bar and sinker bar. Ordinary sucker rod covers: Grade C, D, K, KD sucker rod. 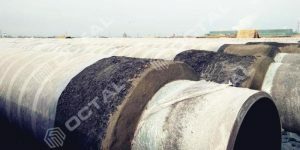 High-strength sucker rods covers: Grade H sucker rod, include three types: HY, HL, KHL. Special sucker rods: Hollow sucker rod, steel rod. Consecutive sucker rods: Steel rod. Screw pump used special sucker Rod: Taper thread sucker rod, plugging-type sucker rod. Fiberglass reinforced plastic (FRP) sucker rod: Fiber plastic sucker rod. Flexible sucker rod: Carbon fiber compatible material sucker rod, wire rope sucker rod. Other sucker rod: Electric sucker rod. Grade C: Covers steel rod used in light-to-medium load and noncorrosive or anti-corrosive oil well. Manufactured in AISI 1530 Mod steel. Grade K: Covers steel rod used in corrosive light-to-medium load oil well. Manufactured in AISI 4621 Mod steel. 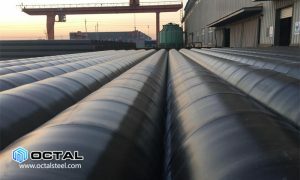 Carbon steel Grade D: Covers steel rod used in noncorrosive or anti corrosive medium-to-heavy load oil well. Manufactured in AISI 1530 Mod low-alloy steel. 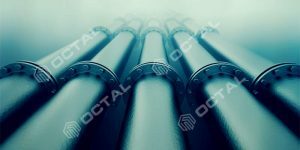 Alloy steel Grade D: Covers steel rod used in noncorrosive or anti corrosive medium-to-heavy load oil well. Manufactured in AISI 4142 Mod. 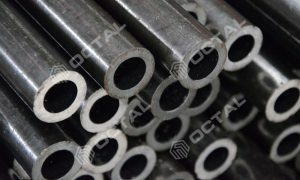 Grade KD sucker rod: Covers sucker rod which both have anti-corrosion properties of grade K, and mechanical properties of grade D. Manufactured in AISI 4320 Mod steel. 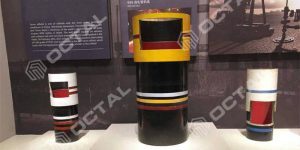 Grade D special sucker rod: Covers steel rod which used in medium-to-heavy anti corrosive oil well. Manufactured in 4330 Mod steel. Grade H sucker rod: Covers steel rod which used in heavy-to-overweight load oil well. 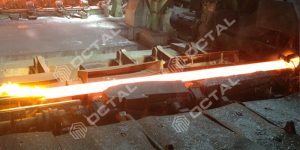 Type HL sucker rod: Covers steel rod which by selecting appropriate material and process achieve grade H.
Type HY sucker rod: Covers steel rod which through quenching process to make the mechanical properties achieve grade H.
Pony rod is a kind of sucker rod, shorter than usual length of sucker rod. Pony rod used to make up a sucker rod string of desired length, which connect a piston pump to surface of oil well. The rod connect with thread from both ends, diameters are generally at 3/4 inch, 7/8 inch and 1 inch. 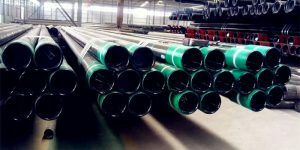 Due to great tensile, pony rod apply in various conditions. 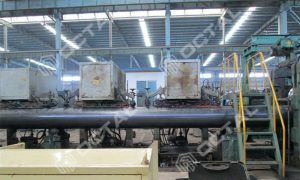 Such as high loads, corrosive environment so it can control over the rod friction better. 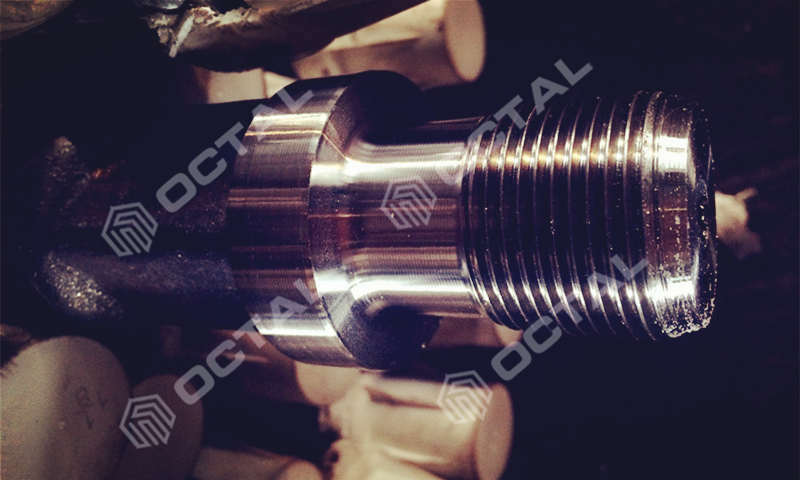 As it manufactured in AISI 1530 Mod, pony rod have perfect performance even in deep oil well. The pony rod is a key part of the artificial lift system, for this reason it should be done by different heat treatments to maximize performance to anti weariness. 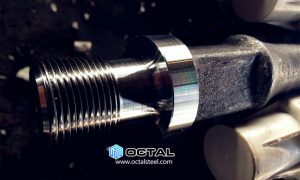 Generally pony rod have three main grades: Grade C, K and D and these grades are classified by different tensile strength. For instance, grade C has a maximum tensile strength of up 115,000 psi whereas grade K has maximum tensile strength of up to 140,000 psi. The pony rod is placed beneath the polished rod of the rod string to prevent the string from falling down. In addition, the old rods should not be used for load carrying part to avoid any mistake.